Multiphase Fluid Flow in Porous and Fractured Reservoirs discusses the process of modeling fluid flow in petroleum and natural gas reservoirs, a practice that has become increasingly complex thanks to multiple fractures in horizontal drilling and the discovery of more unconventional reservoirs and resources. The book updates the reservoir engineer of today with the latest developments in reservoir simulation by combining a powerhouse of theory, analytical, and numerical methods to create stronger verification and validation modeling methods, ultimately improving recovery in stagnant and complex reservoirs. Going beyond the standard topics in past literature, coverage includes well treatment, Non-Newtonian fluids and rheological models, multiphase fluid coupled with geomechanics in reservoirs, and modeling applications for unconventional petroleum resources. The book equips today’s reservoir engineer and modeler with the most relevant tools and knowledge to establish and solidify stronger oil and gas recovery. Yu-Shu Wu is currently a tenured Professor and the Reservoir Modeling Chair for the Department of Petroleum Engineering at the Colorado School of Mines in Golden, Colorado, USA. 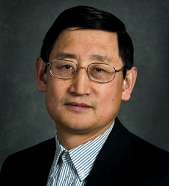 Dr. Wu's research and teaching areas include reservoir engineering, specifically reservoir characterization and simulation, fractured reservoir characterization, and non-Newtonian and non-Darcy flow behavior. Previously, Yu-Shu has worked as a Scientist at the Lawrence Berkeley National Laboratory researching unconventional natural gas resources, Adjunct Professor at Peking University in Bejiing, the China University of Geosciences in Beijing, and the China University of Petroleum in Qingdao as well as a Researcher at SINOPEC and PetroChina. Yu-Shu has published over 300 conference articles, 100 peer-reviewed journal papers, contributed to mulitiple book chapters, and remains active on many journal publications as technical editor. He is a Fellow and member of the Geological Society of America, a member of the Society of Petroleum Engineers, American Geophysical Union, and a member of the International Professionals for the Advancement of Chinese Earth Sciences. Yu-Shu earned a BS in Petroleum Engineering from Daqing Petroleum Institute, a MS in Petroleum Engineering from Southwest Petroleum Institute (China), and a MS and PhD both in Reservoir Engineering from University of California at Berkeley. 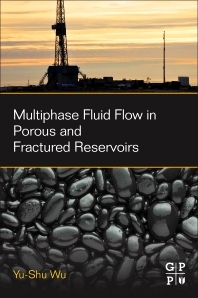 it gives comprehensive topics related to multiphase flow in porous media and also includes some matlab code in the appendix. Very good for master students.